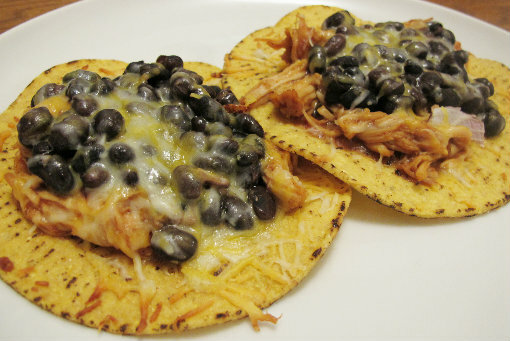 It's time for another tasty Tuesday recipe: BBQ Chicken and Black Bean Tostadas. We made eight of these tasty tostadas and I ended up eating more of them than Jesse did - I had to make sure they were good enough to share with you. They are. They also take very little prep work and once the chicken is finished cooking, it's a pretty short wait until dinner. 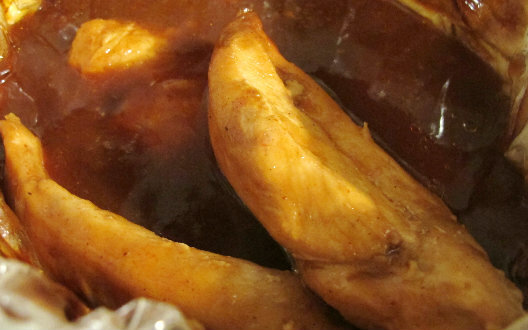 First, place four chicken breasts in a slow cooker and pour half a bottle of BBQ sauce on top. Turn the slow cooker on low and cook for 4-6 hours (if you are running short on time or get Hangry like me and don't want to wait as long to eat, you can cook the chicken on high for a couple hours). 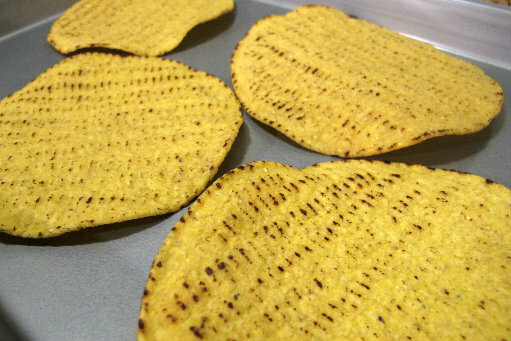 After the chicken is cooked, preheat the oven to 350 degrees and place tostadas on a large cookie sheet. Shred the chicken with a fork. 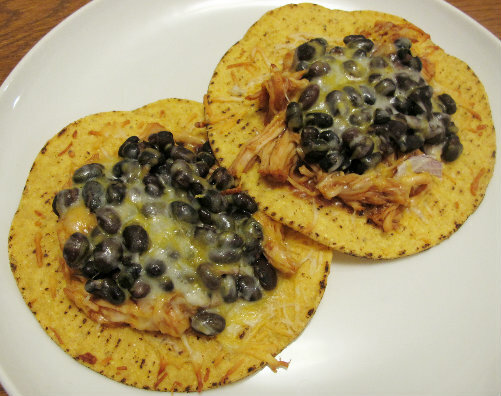 Then place about 1/3 cup of shredded chicken on each tostada and top with 2-3 tablespoons black beans, 2-3 red onion slices and 3-4 tablespoons of shredded Mexican cheese. Bake for 10-15 minutes, or until the cheese is melted and enjoy! We also ended up with enough chicken to make BBQ chicken sandwiches the following night and they were delicious too! Nothing like BBQ Chicken sandwiched between a soft kaiser roll with a side of chips. 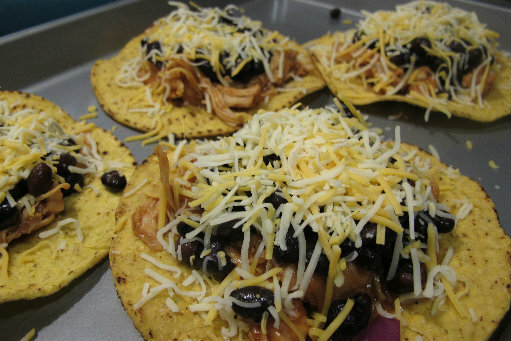 Find the recipe for BBQ Chicken Toastadas and other tasty recipes on my What's Cookin' page. Love how simple this is! Love anything BBQ. Mmm, that looks like a delicious Mexican meal!